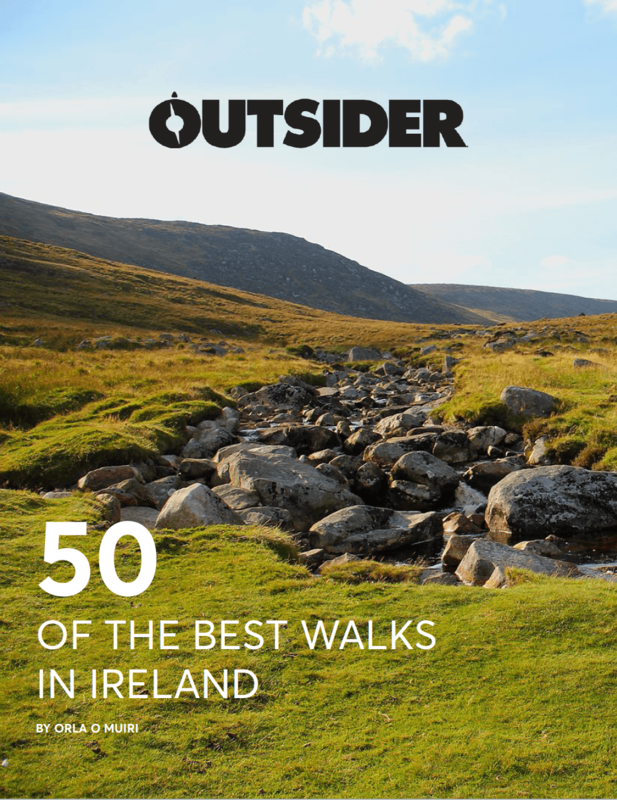 Hiking is a perfect way to explore Ireland and stay fit. However, it can be a bit daunting for beginners. Here are our hiking tips and hints if you’re just starting out. With thousands of kilometres of trails, the countryside of Ireland is just waiting to be explored. Getting out there and hiking is the best way to see it and connect with the great outdoors. To help get you started we’ve assembled our hiking tips and tricks to ease you into life on the road. Some trails can be unpredictable and a little bit precarious. To tackle them you’ll need some appropriate footwear. The ideal hiking boot will have ankle support to prevent injury, should have great grip to stop you slipping, and should be treated or made of Gore-Tex to keep your feet dry. Check out our round up of the best hiking boots on the market. Hiking can be thirsty work, especially during the summer months. As a general rule pack one litre per person for every two hours you’ll be walking. Consider taking more in hotter weather. Familiarise yourself with your route before setting off so you know where you’re going. You can’t rely on your mobile phone receiving signal out there so make sure you’re comfortable using a map and compass to navigate your way out and home. Ease your way in. You don’t need to be tackling Lugnaqulla or Croagh Patrick on your first day but it makes a perfect goal to work towards. Instead, start off small and local before tackling the giants. When you’re working out how long your route should take expect to cover three kilometres per hour, then add an extra hour for every 300m of height gain. Check the weather before heading out the door and make sure you dress appropriately. On the odd days where the sun is shining make sure you’ve got a hat, dress lightly, and take plenty of water. If rain is forecast then you’ll need something waterproof on your body and feet to keep yourself dry. In colder months make sure you’re wrapped up warm. With a full day of walking ahead of you, the last thing you need is to be cramped up and exhausted in the middle of nowhere. Hiking is not about speed, but about taking your time and going at your own pace. When you’re tackling lengthy trails you don’t want to use up all your energy inside the first couple of hours, you’ve got to get home as well! Hiking is an excellent way to enjoy the beautiful natural environment that surrounds us in Ireland. However, they will only stay that way if we take care of them. Make sure you use the marked footpaths as much as possible, leave what you find, and take all your rubbish home with you.